MyStarSound – If you can think it, we can build it! Click on any tour case below to be directed to the MyStarSound Connectivity product you are looking for! More informational videos and testimonials here! If you've ever been to a concert or plugged in a guitar, without a doubt, you've heard MyStarSound Professional Cable and Connectivity products in action. 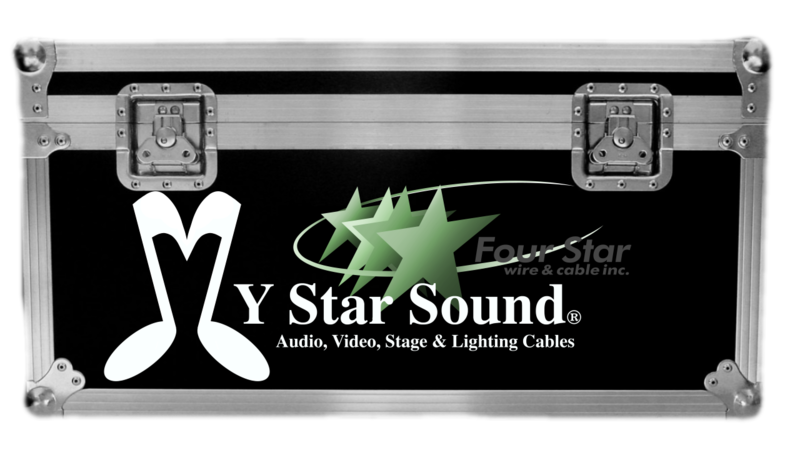 Four Star Wire and Cable's in-house brand of MyStarSound Pro Audio, Video, Stage & Lighting, cable and connectivity products are used by many of today’s top artists, sound engineers & stage and lighting professionals. If you're thinking about starting your own line of cable assemblies or would like to brand your own for your retail store, back-line or sound company, then the professionals at MyStarSound is the place to start. Click here for additional details! The most challenging part of most jobs is the design - We enjoy collaborating with our customers to design the most efficient and cost-effective way to achieve their goals. MyStarSound's team of experts have assisted several recording studios, eateries, churches and schools in achieving the proper audio, video and lighting set up. We love talking wire - Contact us today to see how we can help on your next project or click here for additional information!